Today we highlight tremendous business analyst and post-consulting leadership jobs at Starbucks. Starbucks has changed the way so many in the world start their day. This company has turned an ordinary cup of coffee into an extraordinary experience for people everywhere and made a $5 cup of coffee normal throughout the world. Ranked as one of the Fortune 500, Starbucks is a global coffee company and coffeehouse chain based in Seattle, Washington. Starbucks is the largest coffee company in the world, with 20,737 stores in 63 countries and territories, including 11,910 in the United States, 1,496 in China, 1,442 in Canada, 1,052 in Japan and 772 in the United Kingdom. Starbucks is known for its fun laid-back atmosphere and amazing service-oriented culture. With over 160,000 employees, you would expect each person would be treated like just another employee, a number amongst the many, but at least in ideology that is the farthest thing from the truth. In fact, the word that Starbucks uses for its employees at every level is “partner”. Besides some of the traditional benefits that most employers offer, like 401K and stock options, some of the additional Starbucks perks are pretty cool – like being able to take home a premium bag of coffee a week. Starbucks even offers stock options, health insurance, and Bachelor Degree tuition reimbursement (the new and impressive Starbucks College Achievement Plan) for part time employees. Howard Schultz, the CEO of Starbucks, has a saying that you will want to keep in mind when interviewing for the coffee behemoth: “We’re in the people business serving coffee, not the coffee business serving people.” This quote sums up pretty well what Starbucks is looking for when it comes to those with which it chooses to bring on board its team – team playing people who are focused on serving people. The typical hiring process from application to offer will vary largely depending upon the position that you are applying for, but you can expect the timeline to take anywhere from 3-9 weeks. 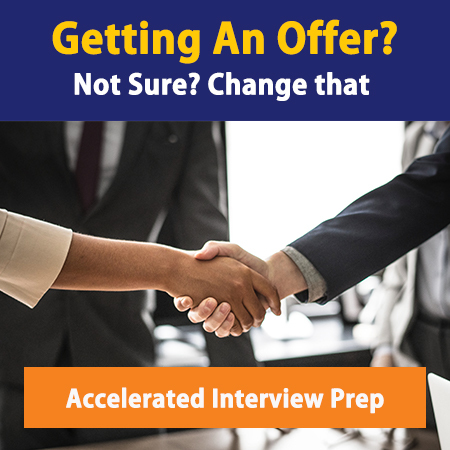 You can generally bank on at least 3 interviews which typically consist of connecting with the recruiter for a phone screen, followed by a phone interview, then an in person interview with either a panel or the hiring manager. Be prepared when interviewing with Starbucks HQ, because the questions that you will receive are both behavioral like “Why Starbucks?” or “If I interviewed you six months from now what would it be like?” and experiential (Situation, Action, Result, Interesting Fact) like “How well do you handle change?” They are also known to ask a lot of “Tell me about a time” questions, so be prepared with your hero stories! They might drill down on your experiences, so don’t go in without preparation. As with their approach to the coffee business and legendary customer service, Starbucks is not looking for just anyone to fill a position; they are looking for people who are excited, energetic, and passionate about what they do, about the company, its customers, and its partners. Starbucks recruiters are known to be nice and honest, so make sure you reflect the same qualities. After you get an offer, Starbucks is known to be pretty fixed and rigid with offers but they do occasionally negotiate. If they offer a certain package, there may be a bit of wiggle room – don’t expect much, but you can always ask. Starbucks offers some predictable but cool perks during the interview process – they give you a free drink of your choosing during the interview and a goodie bag with a 1-pound of premium coffee to interviewees. Starbucks has a clear vision, a mission-driven purpose, and an impressive culture. Check out key corporate opportunities today by looking at the link below.